It’s almost as if Worf knows what a can of worms he’s about to open. This one started out as a fairly minor, cosmetic change. To put it simply, Klingons in Kirk’s (TOS) era look more or less just like humans, with darkened skin and prominent eyebrows, and by the time of the films and eventually TNG, the Klingons had so-called “bumpy foreheads,” bony ridges that covered the skull (and apparently other parts of the body, as we see with Worf). This was debated by fans from the moment it first showed up, to some extent, but most were willing to write it off as a result of the better special effects budget the movies and later series had. That is, the fan theory was that Klingons had always possessed these ridges, and the TOS episodes showing otherwise were merely an inaccurate recreation–what TVTropes calls a “Doylist” perspective. However, when the 25th anniversary rolled around, and Deep Space 9 decided to celebrate by time traveling back to a classic TOS episode. 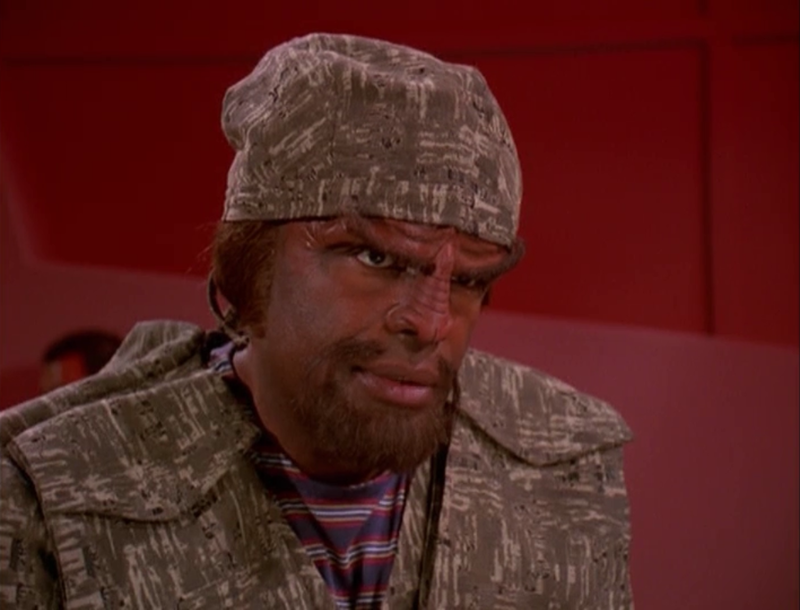 And at that point, they brought Worf along, leading to a scene all about how different the Klingons looked, with Worf refusing to provide an explanation. Suddenly, what had once been a makeup problem was now a continuity issue. The Internet EXPLODED with raging debate on the matter, and it was up in the air for nearly ten years. 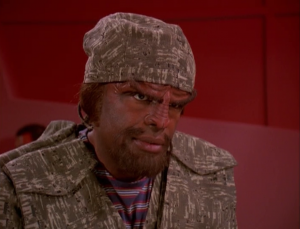 Some degree of agreement was made that the ridges were a recent development… until Enterprise premiered as a prequel, using the “modern” TNG style makeup. Then it was a huge mess–first the Klingons had ridges, then they didn’t, then they did? What? The question was finally answered once and for all in a three episode story arc dealing with Khan-like Augments and Klingons, providing a retcon explanation for what never should’ve been a continuity issue in the first place. 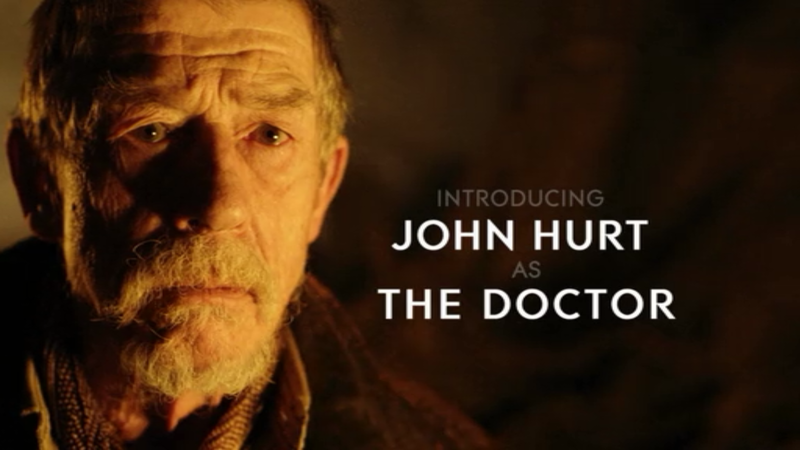 I really don’t have a problem with his existence, it just ruined my hopes for 12th Doctor story arcs. The truth of this retconned “forgotten regeneration” is that Eccleston didn’t want to return for the 50th anniversary special, and they still wanted to do this Time War story that could bring Gallifrey back. So instead, they invented this War Doctor, and we never heard of him or saw him before because “this regeneration refused to call himself the Doctor.” It also gave them a nice out by bumping the number of consumed regenerations up by one, meaning that Matt Smith’s goodbye could be used to introduce a new regeneration cycle and get that whole problem out of the way. 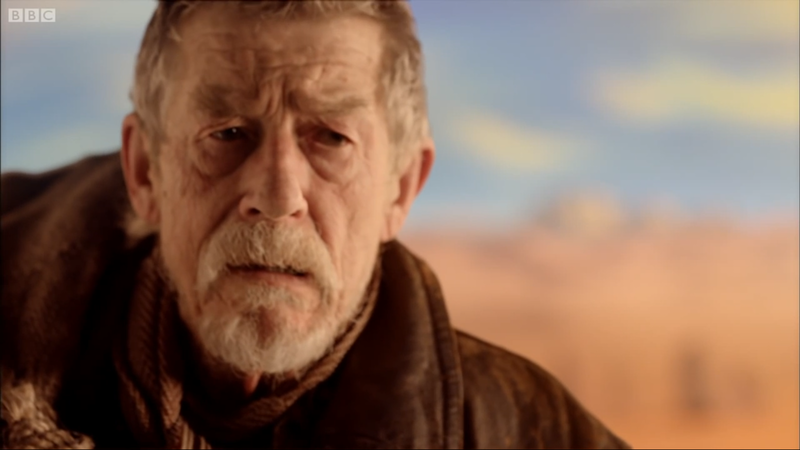 But by introducing this mystery War Doctor, a number of recent scenes no longer made sense, like Eleven’s use of regeneration energy in “Angels Take Manhattan” and his expectation of regeneration during “Let’s Kill Hitler” and attempted regeneration during “The Impossible Astronaut”–all episodes from only one season prior (or the same season!). Oops. This retcon didn’t cause huge problems, but it did rob them of some great dramatic opportunities (imagine a season or two of the Doctor knowing he’s on his last life. How amazing would that be, drama-wise?) and made several episodes seem sillier or confusing for those catching up. Kinda makes the movie really depressing knowing every character in this ending dies. In Star Wars: Episode IV: A New Hope, Han Solo dismisses Obi Wan and Luke’s claims of being Jedis, and says that the Force is a “hokey religion” and ancient superstitions. With only the original trilogy to go by, this seems quite plausible–there are only a handful of Force users around, and all of them are very old characters, or at least of indeterminate age like Vader. 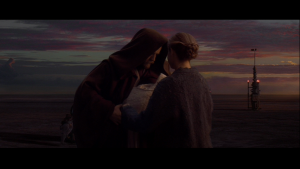 They also speak of the old Republic as if it’s been gone for a long time, something that many of the characters have no direct knowledge of. Seeing the symbols are the same ought to make it really easy to get home. When adapting Stargate to a series, it’s easier to just say that they took a “broad strokes” approach to the film. Some version of the events, as we saw them in the film, essentially happened, but the details were very different. Ra in the film is not a Goa’uld parasite; instead he looks more like an Asgard, and is implied to be the last of his kind. He doesn’t have any kind of Jaffa, but instead regular humans working for him. But by far, the most problematic and egregious difference is the Stargate and how it works. Both gates operate on the principle of rotating symbols and chevrons, but that’s about the extent of it. The operation of the Stargates is radically different in the series. Abydos in the film is located in a distant galaxy, while in the series it’s actually one of the closest gate-accessible worlds (and hence why it works without a DHD; stellar drift hadn’t moved it enough to break the lock). Where it gets to be more problematic is that in the series, all gates have identical symbols except for one, that one being its unique point-of-origin symbol. This makes it a simple matter to dial home, as you can just put in the generic Earth address and make sure that unique symbol is the last one you put in. 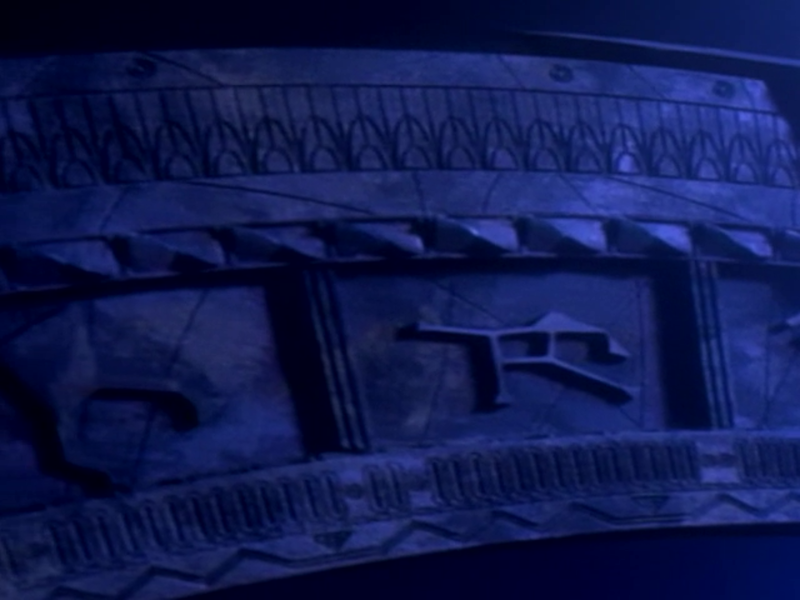 But a huge part of the plot of the film is that they can’t just dial home; they have to decode the completely different set of symbols on the Abydos Stargate once they got there. It’s why Daniel had to come along, after all. If they get there and it’s the exact same symbols, there’s no problem, and no reason the team couldn’t leave once things got difficult. Perhaps they hadn’t figured out Earth’s address yet, but there’s nothing to indicate that was ever an issue (or else they wouldn’t have gone through in the first place). Heck, they don’t even show a DHD, making the real question how they dialed the gate at all. This is one retcon that, while for the benefit of the series, even a broad strokes approach can’t save; the plot of the film as we saw it entirely falls apart after the retcon. I guess it’s a good thing we never saw that version on screen, huh? Have any of these retcons ever troubled you? Are there any major retcons, for better or worse, that I missed? Let me know in the comments, or on twitter @RetroPhaseShift. Another good article. The stargate one was a surprise. Star Wars was by far worse since the were many, many more WTF changes to the story line, characters. Not just to the timeline. 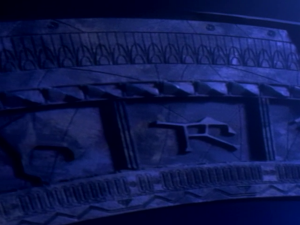 The prop in Stargate is interesting, but didn’t impact my enjoyment of the Movie or shows. Thank You again for putting this site together.